It’s hard to believe that I started Kimversations five years ago. I started the blog to keep track of recipes and to chronicle my projects and interests. I put off blogging for a while because I wasn’t sure I had something to say or if anyone would be interested in what I had to say. In the end, I decided to just go for it. It all started with my first post. I was so excited about getting my brand new stove. I cringe a little when I read some of those early posts. It took a while for me to find my ‘voice’. 155 food-related posts (including 122 recipes), 30 home and garden, a handful of restaurant and product reviews, a road trip or getaway here and there with a smattering of craft and DIY project have led to this post – my 288th post. I never know what will resonate with you, dear reader. You try and figure out the common thread between my top 5 posts of all time because I certainly am scratching my head . . .
Brisket & The Big Green Egg (April, 2011) The title says it all. It’s a post about my friend’s Big Green Egg and his brisket recipe. Butterflies & Bloody Marys in Naples, Florida (July, 2011) A visit to the botanical gardens in Naples, Florida. The gardens have a really neat live butterfly exhibit. We also went out to brunch and enjoyed a fabulous Bloody Mary bar – where we could each make our own. Yummy! Fish Tacos with Cabbage Slaw (December, 2012) A simple, flavorful recipe for fish tacos. Also my most pinned recipe on Pinterest. Sew Your Own Bathing Suit Coverup (May, 2010) Frustrated with not being able to find a coverup I liked, I made my own. And it came out pretty darned good – if I don’t mind saying so myself. Chicken Wire but no Chickens aka 2012 Garden Plan (June, 2012) Our solution to keeping the dogs out of the garden was to put up a fence made of chicken wire. This summer will be our third season using this SAME fence. We take it down at the end of every season. So again, I ask – what is the common thread here????? I’ve also had the chance to work with some pretty cool brands and products like: UncommonGoods, Chairish, Jones Dairy Farm, Healthy Living Market, Shop-Rite, American Dairy Association and Dairy Council, Cabot Cheese, Tuttorosso, Red Pack, Bonefish Grill and more. I am glad I started this journey and am really glad you’ve taken it with me. Do you still love your range? I’m considering a GE Cafe gas model and looking for reviews led me here! I sure do! 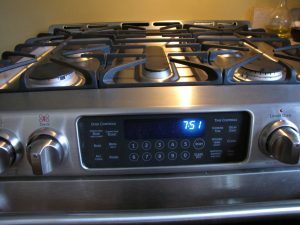 I don’t think a day goes by without me saying how much I love my stove. Seriously. My husband initially questioned the expense and he loves it too. Favorite feature? It holds temperature perfectly. 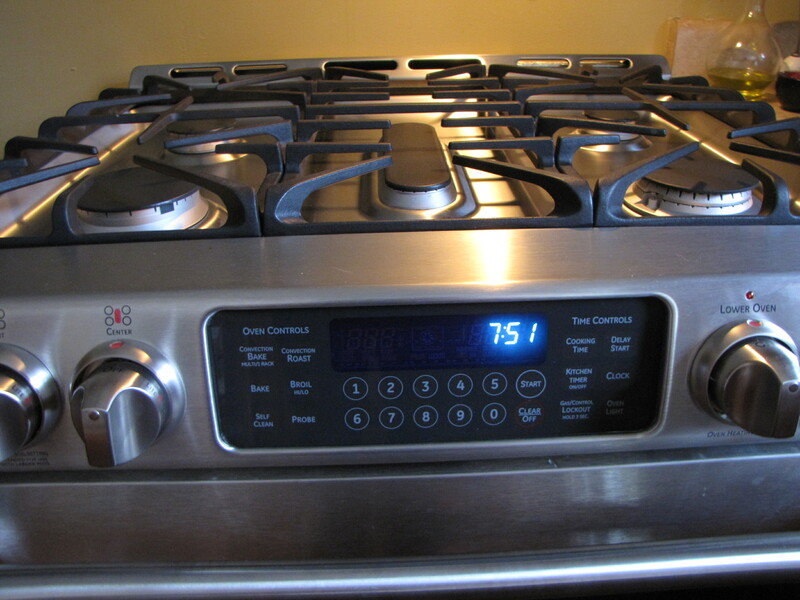 Also love the five burners and I use the lower oven lots more than I thought I would.